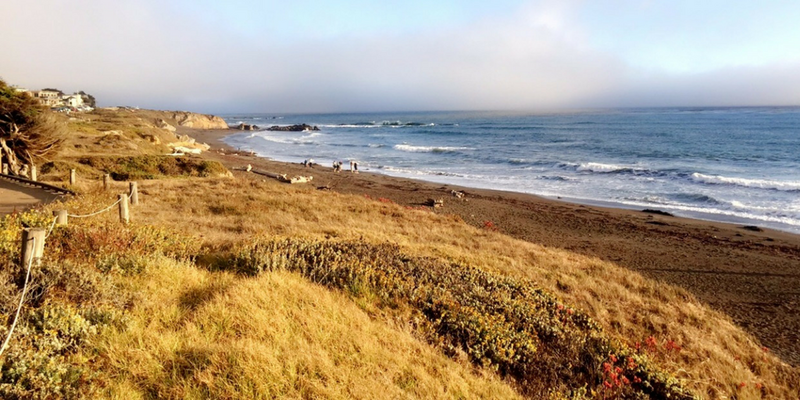 Cambria, California was the next stop on our American Road Trip. We opted to stay in the adequately named ‘fog catcher inn’. which, with its rustic charm and amazing sea views instantly made us feel welcome. When I woke in the morning, after a very comfortable nights sleep, the relevance of the Inn’s name became clear. The morning’s fog was rolling off the sea, creating a ghostly but dazzling view. Cambria’s equally as adequately named ‘moonstone beach’ was steps away from the inn. Its rocky and almost rugged outcrop seemed alien following the expanse of golden sand beaches in Los Angeles. Being a huge fan of film and TV, a Universal Studio tour was on top of my to do list.